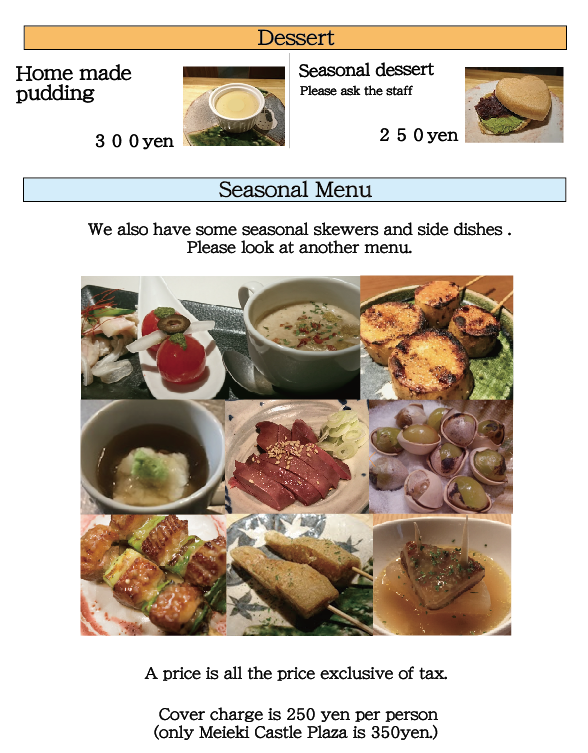 We have three course menu of 3,000yen, 3,700yen, and 4,300yen. These prices are not included tax, included a cover charge. 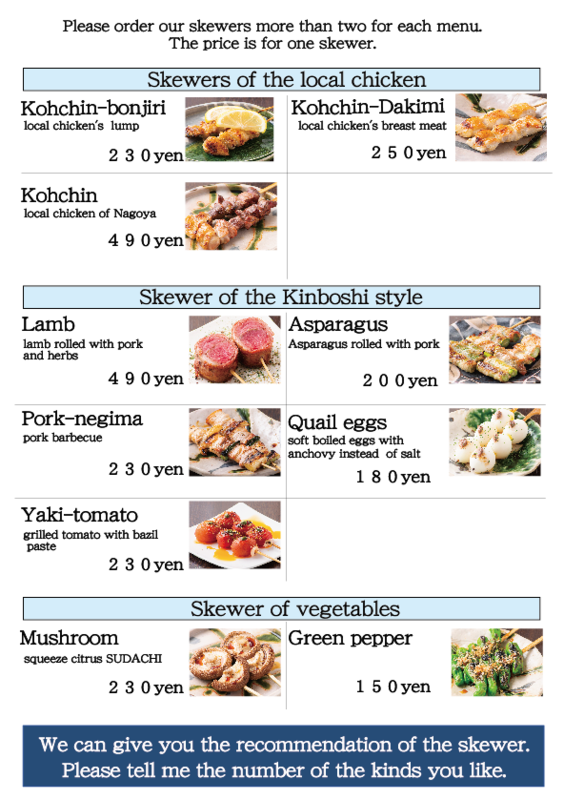 These course menues include Kinboshi's specialities and recommended dishes.They are more reasonable than you order skewers and side dishes a la carte.We can serve it if you have favorite items. 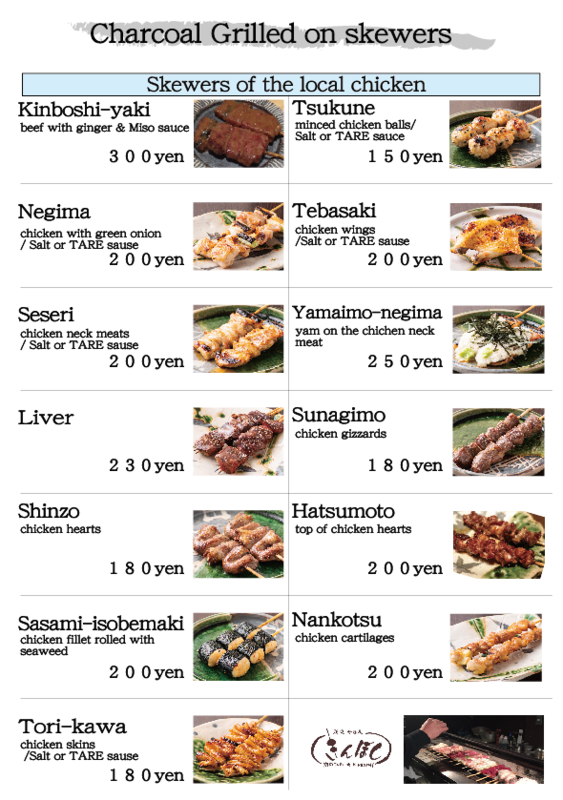 Eight various Skewers,two various side dishes and a Yaki-norimaki(grilled rice balls). 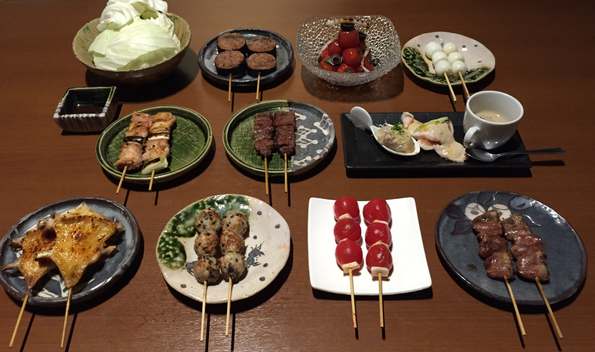 Eight various Skewers,two various side dishes and a Yaki-norimaki(grilled rice balls) and one of desserts or one of Chazukes(boiled rice in hot soup). Eight special Skewers,three various side dishes and a Yaki-norimaki(grilled rice balls) ,chicken soup and one of desserts or one of Chazukes(boiled rice in hot soup)and one of desserts. Please refer to the sake list for iced sake by the glass. These iced sake can be heated up if you want. On the rock, with water, hot water, soda, oolong tea,or green tea. Straight, on the rock, with water, hot water, or soda (Hai-ball). Please refer to the wine list for sold by the bottle. 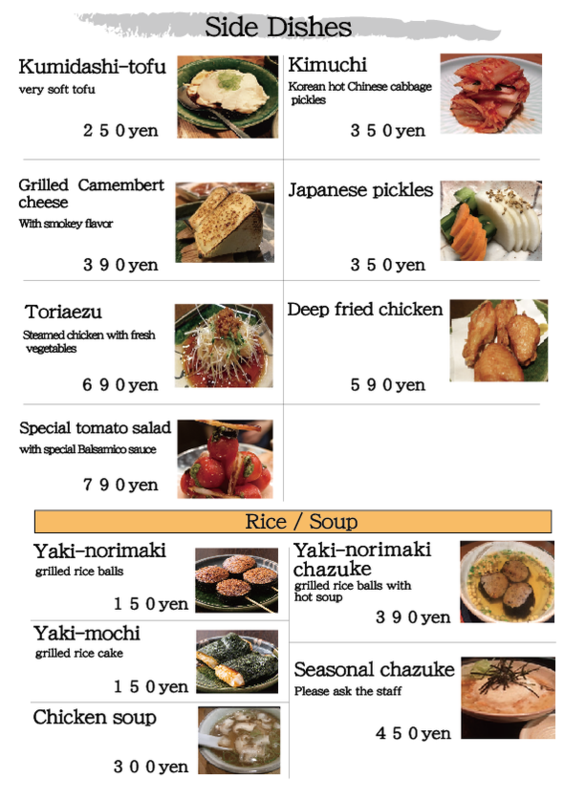 We have a cover charge of 250yen(Meieki-Ten 350yen) per person.All the prices are not included tax. Please check at your table. Thank you.